Good kitchenette. Train station is close. Friendly service. 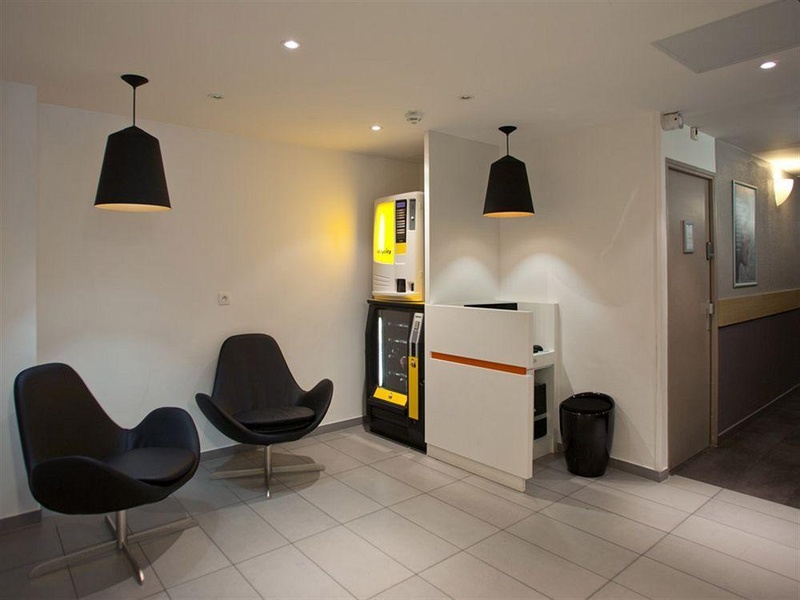 Just a 5-minute walk from Gare de l'Est, this Services Apartments offers free Wi-Fi access. Guests can walk to the Canal Saint-Martin in 4 minutes and relax in the waterside cafés and restaurants. Decorated in turquoise and neutral tones, the apartments and studios offer an LCD TV. Each one has a private bathroom and some have a separate bedroom. Guests can prepare meals in the accommodation's kitchenettes, which feature hotplates and a microwave. The 24-hour reception sells drinks and snacks and can help with dinner reservations and show tickets. Private underground parking is possible on site and Staycity Serviced Apartments also has a laundry service. The lively République Square is 700 metres away. Please note the apartments are only cleaned once a week. Sheets are provided and bed linen is changed once a week. Bath towels are changed every 4 days. Close to notre dame. Close to city center. Excellent location. Exceptional hosts. Excellent front desk staff. Staff was amazing. Free wireless. Free internet. Your luggage free of charge. Lots of restaurant. Great brasserie. One door worked properly. Hot water was working well. No a/c. Wi-Fi terrible. Weak internet. Wifi did not work. No eggs. Paying for breakfast.